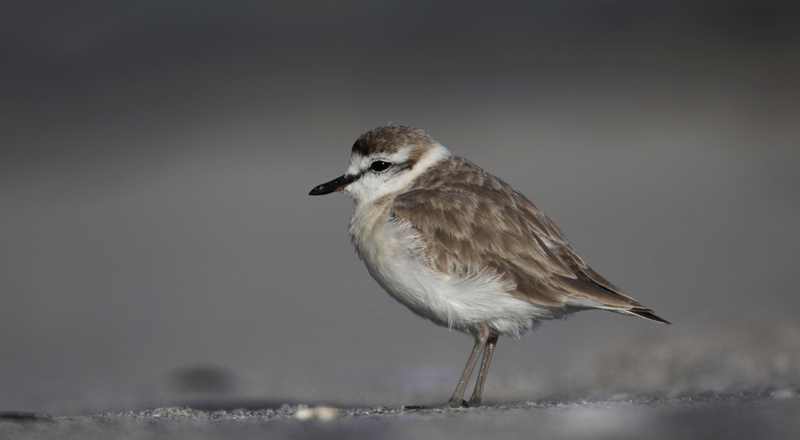 A White-fronted plover from Hermanus in South Africa. Here for no better reason than because I thought things were getting too text-heavy without it… Besides, it is the kind of bird that often gets overexposed when shot against a darkish background (like here). While the last couple of practical-tips posts have been about getting exterior things right (lighting, level), this one will deal with some of the camera settings for bird photography. These are subject to much more individual preference than the aforementioned external parameters. Hardly anyone will argue with either of the first two golden rules, but for the actual settings we’ll begin to see some arguments simply because different photographers will have worked out different methods, and these work well for them. For this reason, anything that you’ll read from here on is going to be more controversial, and I welcome discussion about the topics covered; if you feel that I have got it all wrong, or that I could benefit from doing things differently, please do get in touch, either via email or comment in the thread! Camera settings are slightly different from brand to brand, and from model to model. I ONLY know Canon equipment, and will not be going into any Nikon, Olympus, Pentax or Sony discussions – I don’t know the first thing about the button layouts or terminology of these other brands, but anything I point out in the following CAN be translated to their paradigm if you’re interested enough. dSLR cameras differ from most point-and-shoot cameras in that they have an image format setting called “RAW”. 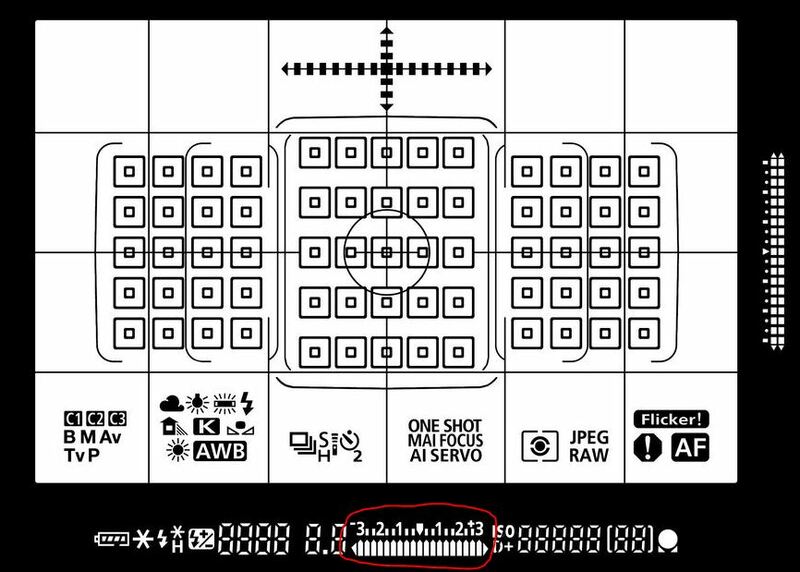 In the RAW format the camera saves the entire information package straight off the sensor, alongside a big load of other relevant information (like a small .jpg file to show you on the rear display, and much more). The biggest advantage of shooting in RAW is that you may alter the white balance when you get back home, with minimal loss of quality – in a .jpg file you’re stuck with the white balance which was set in camera at the time of shooting. The only disadvantage of RAW shooting is file size, plus a little more processing complexity when you get home, but all in all you may as well get used to it – shoot RAW. Then set the white balance to “Auto” and forget about it – whenever the camera gets it all wrong you can fix it on the computer later. Unless you’re cool and composed enough to be shooting in full manual mode, chances are you should be shooting in aperture priority (Av) mode. In this mode you get to choose the aperture, and the camera does the rest. 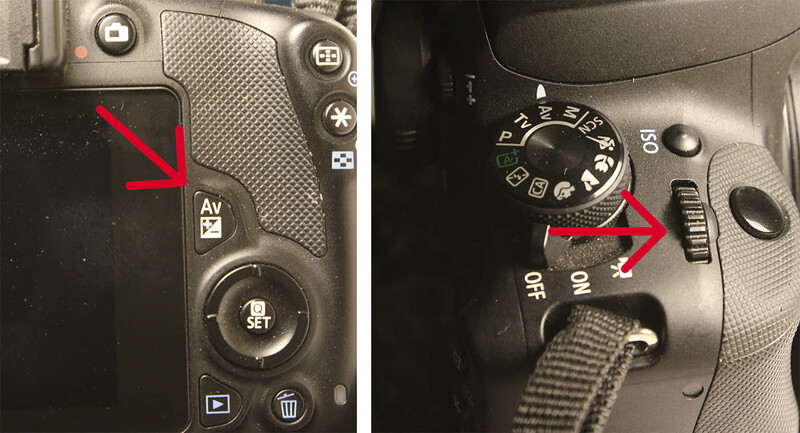 On the majority of Canon dSLR cameras, the Av setting is found on the big “mode” dial on the left, next to the flash hotshoe. On cameras from the 1D Series it is slightly different, but if you’re shooting with one of these then I hope you don’t need me to tell you these things… But with the camera in Av mode there are a few things to learn, even if the camera takes care of most of your worries. For me, setting the ISO mode to “Auto” makes the most sense. I also put in a maximum ISO setting not to be exceeded, and let the electronics take care of the rest; this is done in the ISO settings menu, where you can choose a range for the Auto ISO setting – in the 7Dmk II my maximum is set to 1250, in the 5D mkIII I’m experimenting with a maximum of 6400. This way I theoretically get sufficiently high shutter speeds at my chosen aperture setting regardless of the light conditions. ISO “Auto” is found by hitting the ISO button on the top of the housing, and turning the index finger dial (see the 2. image in the double image below) counter-clockwise until there is an A in the ISO setting display (located on the top of your camera housing, at least if you shoot with 5D, 6D or 7D housings, or housings from the double-digit Canon series (60D, 70D, 80D)). Surprisingly, the algorithm determining the ideal ISO setting in Canon cameras doesn’t appear to take focal length (how long your lens is) into consideration, so this works best with lenses having good Image Stabilizer functionality, I.e. newer Canon lenses bearing the IS identifier in their name. Using the Av mode, you need to be ready to take subject and background lightning into account. Most bird photographers seem to favour the Evaluative light-metering mode, recognised by the icon in the display: But even this clever light-metering setting has its limits, especially if your bird is very different to the background, like if you’re shooting dark birds against a bright sky. In these cases you need to help the camera a bit, or your bird will be nothing but silhouette against a perfectly-exposed sky. In such cases you’ll be wanting to tell the camera to overexpose the image in order to get the lighting on the bird right, and overexpose it by quite a lot – often as much as two full stops. On pro and semi-pro Canon housings this is done by turning the big thumb dial on the back clockwise while watching the exposure display in the viewfinder, see the image on the left. While adjusting the exposure settings, keep watching the display marked in red here – for a dark bird against a bright sky you’ll need to go to around +2 to get it right. Accomplish this by turning the big thumb dial on the back of your Canon xD or xxD body clockwise. Click on the image to see a larger version. On consumer-grade Canon cameras, overruling the camera’s automatic exposure settings requires the use of both thumb and index finger. First you press the Av +/- button with your thumb, and hold it down while you rotate the index finger dial located right behind the shutter button clockwise (for overexposure) or counter-clockwise (for under-exposure). Click on the image to see a larger version. 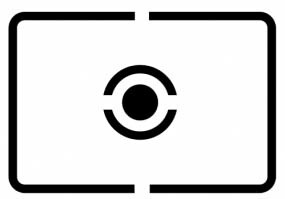 In consumer-grade Canon bodies the exposure compensation is a tiny bit more complicated; on these cameras you need to hold down the +/- button on the back, and turn the index finger dial behind the shutter button clockwise to accomplish the same thing, see the images and arrows here on the right. In the heat of the moment I have found that I could easily forget which way to turn the dial, but with an easy mnemonic trick you’ll have that sorted in no-time: You’re pointing the camera up, so you need to turn the exposure up. Turning the exposure up is like turning the volume up – the rotation direction on the dial is the same=to the right. If you’re shooting light (white) birds against a dark background you’ll be wanting to do the opposite – to turn the exposure down. This is obviously done by turning the dial counter-clockwise, often by as much as we did before when we were shooting dark birds against a bright sky. Failing to do this will have you return home with overexposed parts of your bird, meaning there will be parts of the bird where the camera sensor has stored no image data whatsoever, and that means straight into the virtual bin with the image, at least if we’re talking large chunks of the bird. Speaking of blown highlights it is important to realise that overexposing the image isn’t just a default thing when you’re shooting birds-in-flight against a bright sky – if your subject is a gull or another white bird then the meter will probably get it all just right, and you can leave the Av auto to work things out. In the next post we’ll be looking at autofocus, and how to get the most out of all the clever Japanese engineering that our money has bought for us, in the mean time take a look at this gallery, where I try to exemplify some of the stuff from above. Be sure to read the captions to get the full value of the example images. This image is converted from RAW with the white balance set to Auto. It gets too bland, due to the cloudy skies. In this image the white balance was set to Cloudy in the RAW converter, before the conversion to .jpg. Notice that it is a much nicer, warmer hue, even if it has probably gone a bit overboard in the opposite direction compared to the first one. The Wheatear (oenanthe oenanthe) is on the verge of getting burntout patches on its sunny flank. If there had been less sky in the background, and more dark Siberian tundra, the image should have been underexposed compared to the Av settings suggested by the camera. The Rock pipit (Anthus petrosus) is a great example of a situation where the camera is perfectly capable of getting everything right. Here, the background and the bird are similar in their light reflective properties, and there’s nothing to confuse the meter. The Mute swan (Cygnus olor), a white bird, is photographed against a dark background. In this situation you need to underexpose the entire image to avoid overexposing the bird. This has the added benefit of turning the background even darker than it was on location, something that looks rather nice. This Western marsh harrier (Circus aeruginosus) snuck up on me and I didn’t get the exposure right=dark bird against a bright blue sky. In this edit I have used the Shadows/Highlights function in Photoshop to try and recover some detail from the dark bird. The trouble with this is that it amplifies image noise, visible here as a grainy texture to the blue sky – if I had exposed correctly in-camera it would have been a much better image. Gannet family scene (Morus bassanus). This almost-white adult bird is photographed against a darker background, and all the highlights blow out (beak, top of head, back facing the sun). The image should have been underexposed by around one full stop but wasn’t, and should have ended up in the bin for it. The Horned grebe (Podiceps auritus) is in low but direct sunlight, and the background is in shade. The image is underexposed by 2/3 of a stop (two “clicks” left on the big thumb dial on the back of advanced Canon cameras, or two “clicks” left on the little index finger wheel while keeping the Av+/- button depressed) to keep the back of the bird from burning out, and again, as with the Mute swan, this helps tone down the background so that nothing gets in the way of appreciating the handsome bird.